← Purple Tea – Is it real? only get Chinese white tea from Fuijan or Yunnan province, China.” Well, after a sampling session, I was in for a surprise! While I once felt the same about only getting white tea from China, this Doke Silver Needle white tea is completely handcrafted and is superb! It is not only on par but exceeds the quality of much of the white tea that can be sourced from China. And, we should know since JAS-eTea.com has sourced Chinese Silver Needle for a dozen years! While I fully intend to continue having the Chinese white tea selection available, Doke Silver Needle white tea will definitely be a part of the inventory this year! Look for this Organic Silver Needle tea soon. styles. CTC traces its origins to the plains of Assam while the orthodox kind represents the type of processing done in the Darjeeling region. CTC is a method of processing black tea in which the leaves are passed through a series of cylindrical rollers with hundreds of sharp teeth that crush, tear, and curl the tea into small pieces. Orthodox tea refers to the production process, where the tea is either hand-processed or it is rolled by machines which mimic the hand rolling technique. Most of the speciality teas, like green tea, oolong tea, white tea and hand-rolled tea fall into this orthodox tea category. In recent years, a number of mainstream varieties are being produced using orthodox processing techniques. An example is the Doke Silver Needle White tea. It has been created from organically grown tea plants and all picking and processing is done completely by hand at the Doke Tea Estate, India. Doke tea gardens are located in the Eastern Indian state of Bihar and are comprised by an idyllic expanse of green tea plants, other lush foliage and beautiful trees. This estate has been founded and nurtured by the Lochan family; Rajiv Lochan is the patriarch. 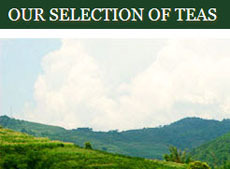 This family-owned and operated tea plantation has been the source of a number of very special delights in recent years. For example, the Doke Silver Needle is a hand-crafted solely from tea buds harvested at first flush (or the first plucking season of the year). This tea derives its name from the fine silvery, thread-like protrusions from the bud that are whitish in color. The buds at this stage are tender and this imparts the extremely fresh and delicate taste to the final infusion. The task of plucking is a delicate one and you may find it interesting that only women are selected to perform this job. It is similar to the practice of premier Swiss watch firms who employ women for tasks that require unwavering precision. 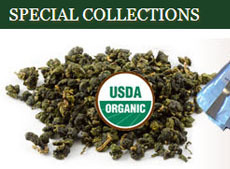 About six kilograms (13.3 lbs) of buds are required to yield one kilogram (2.2 lbs) of finished-product tea. Because the tea is hand-crafted at every stage, end-to-end production takes a considerable amount of time. For example, one person can only pluck about 500 grams of tea buds per day. This means that it takes an individual tea picker approximately six days to pick enough tea to comprise a single kilogram of finished tea. The production process involves allowing the buds a brief period for withering. After that the buds are emptied into a large wok under gentle heat to stop the oxidation process. The entire process is performed by hand and maintaining the wok at optimum temperature is key. Neha, the founder’s daughter, has perfected the process over time and the resultant brew is simply exquisite. This hand-processed white tea is characterized by peachy overtones with a sweet and delicate aftertaste. Doke Silver Needle White Tea has won awards in Japan for the quality and magnificent taste profile. 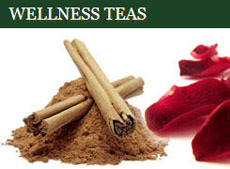 Doke itself has also been given great acclaim for the strong adherence to environmental stewardship principles and all teas are qualified as organic. The Lochan family are totally committed to outperforming the previous year’s quality each year and an earnest attempt is always made to strive for higher ideals. 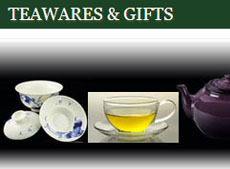 Stay tuned for articles about other articles about Doke hand-made tea products. Hint: Neha Lochan also supervises the hand-making of a phenomenal black tea, an amazing oolong and a superb green tea. This entry was posted in Doke Tea Estate, India, White Teas and tagged Doke Tea Estate, hand-processed tea, Neha Lochan, Rajiv Lochan, silver needle, white tea. Bookmark the permalink. Thank you for reading. Appreciate your feedback.